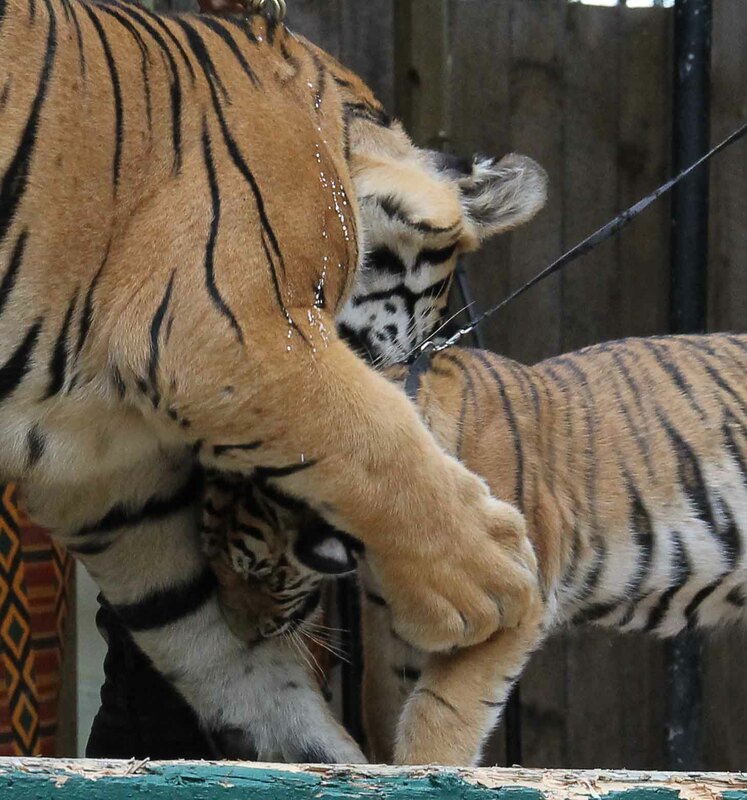 This post is dedicated to the tiger show we went to, entirely! 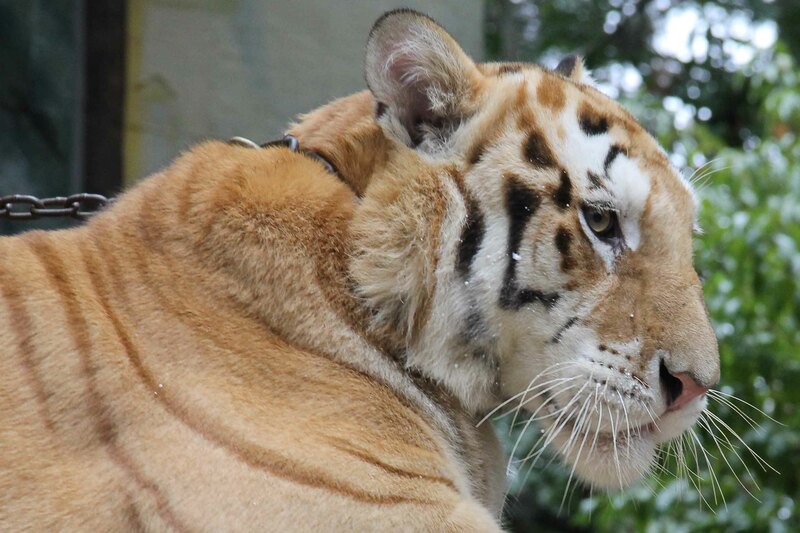 It was very cool – they brought out all sorts of tigers and fed them milk while talking about the different species as well as conservation work and giving tips on how your everyday American can do his part to help preserve endangered species and the environment. This was one of the cutest moments at the show. Apparently these two youngsters are good friends, so they were allowed to be on stage together just so the audience could see them say hi. It was so cute! 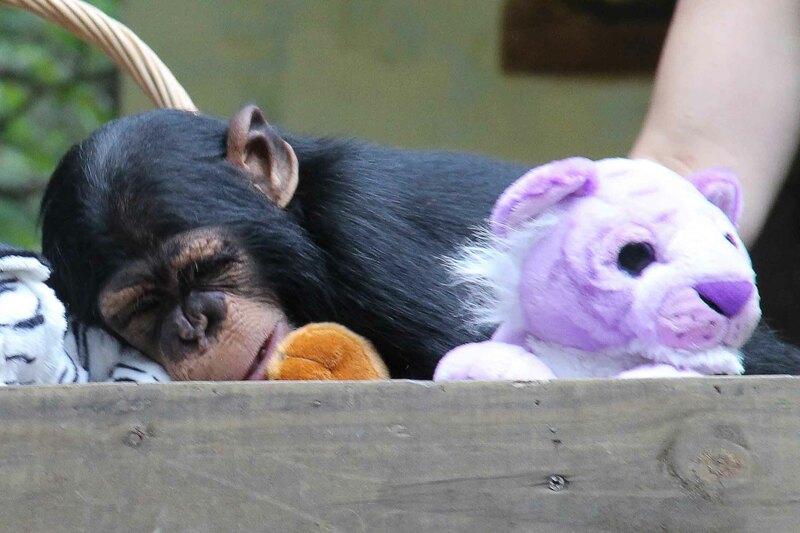 They also had a little chimp who ran around the stage being all exited and chimp-like, and then took a very quick nap while they were showing off the stuffed animals you could buy – the proceeds support their wildlife conversation efforts. Lapping up some spilled milk. 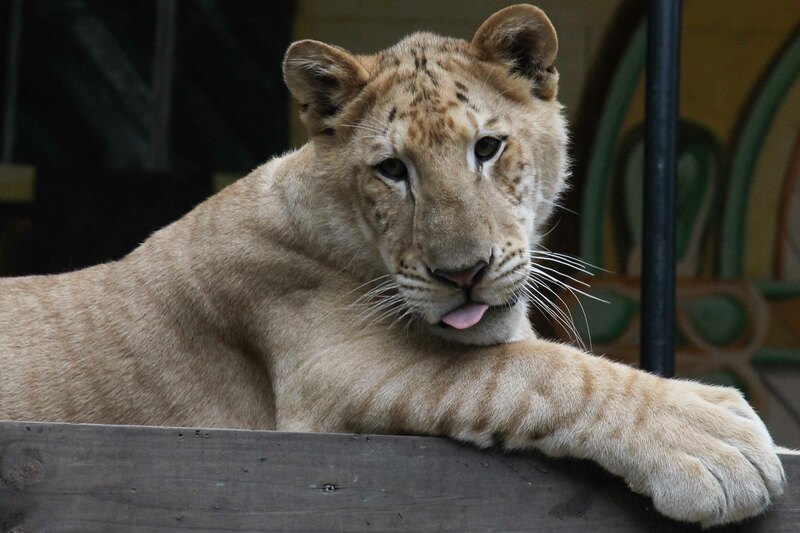 Tigers sticking their tongues out (I actually think this particular cat is a liger, but let’s not split hairs) are adorable. 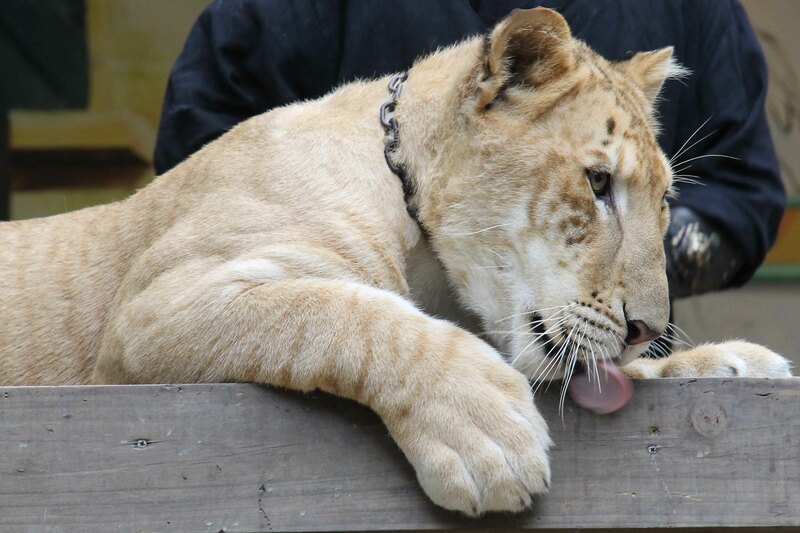 And, finally, the liger delicately hamming it up for the camera. He’s really just short of saying “neener neener” but all big cats are much too majestic to do that!